Let ‘s take a look at how to read the acceptance criteria of the Korean language proficiency test. 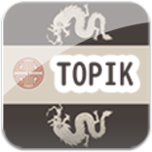 Please look at the summary of TOPIK test again. What is written in the acceptance criteria among them is like this. If you clear the conditions of both ① and ②, you will pass. So no matter how good you score it will be 39 points or less in a single subject and you will be rejected. Conversely, even if the score is bad, you can pass the Korean Language Proficiency Test Level 1, 3, or 5 according to the level if you take over all the subjects and score over 200 points (total score of 50%) That’s it. From here it is important. Let’s simulate some points that pass according to the above conditions. This time it is from the first, third and fifth level of Korean language ability test which can pass with low score. For example, the following points can be cited as an example of the acceptance minimum point that can be passed. First of all, I try playing digits to see what sort of score is within the acceptance range like this. People who can take all subjects on average can aim to allocate points in ① or ②. Those who have an opening in points that can be selected depending on the subject will aim at ③ or ④. Especially please look at ④. Even if three courses are 40 points, it will be acceptable if you can score over 80 subjects per course. This is one of the motives of the Korean language proficiency test. You can pass with a good chance. Another one of the Korean language proficiency testing exercises. All of the answers to the Korean Language Proficiency Test are exceptions in the composition, which is a four-choice question. Even if you put a circle on all answers, 25 points will be taken. There may be some people who seem to know such a thing. But, for example, in the case of the simulation 4 earlier, if there was only one item that could take 80 points, the remaining subjects were good at 40 points. It is not too difficult to take 40 points with a test that can take 25 points without doing anything. So what about the actual place? All the tests of the Korean language proficiency test consist of 100 points per 30 questions each except for writing. It means that 3 or 4 points are allocated for each question. In fact, there are 20 questions on 3 issues and 10 questions on 4 issues. If we really chose all the options as 1 here, we probably have seven or eight questions. In other words, there is a possibility of taking at least 21 points, usually 25 points, if you are lucky you can get around 30 points. So how can we clear the acceptance minimum point of 40 from here? In other words, how many problems can you choose correct answers with your own abilities? For example, I think that you will get 40 points by making 14 problems correcting all 3 problems. In that case, in conclusion it will be possible to pass if there is a problem that can never be taken only 9 questions.